The ultimate experience for fans of The Walking Dead could be a great many things depending on who you ask, but for some, it would be walking the streets of Georgia as a walker. Post The Walking Dead season finale impromptu chat! Join me! Let's talk about it!!! 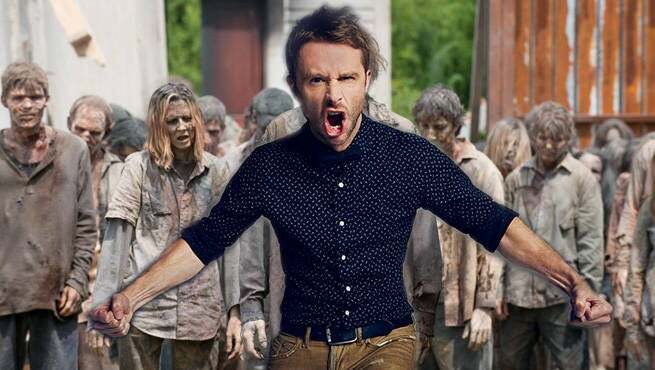 Chris Hardwick, a self-professed Walking Dead devotee, might just have that chance. In his recent after finale Q&A, he mentioned a conversation with Executive Producer Greg Nicotero. "I talked to Nicotero tonight, and I said that if the offer was still open I would go down and be a, they could make me up like a walker, and he said that they would, so I might get to be a walker. I would not be front and center, I'd be in the background somewhere. You'd have to pause and draw an arrow so you could see it." Still, whether you happen to be Bicycle Girl or Zombie 85 whose head peeks out from behind a bus, it's still worthy of envy. Make sure to keep an eye out for Hardwick next season. Have you seen Dawn of Justice yet? 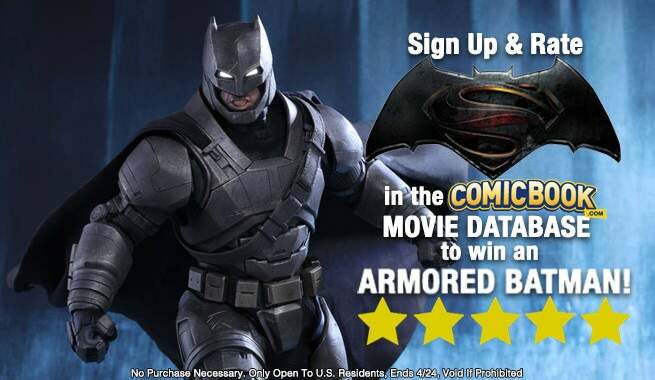 If so, go rate it in the ComicBook.com Movie Database for a chance to win your very own Armored Batman figure! Batman v. Superman: Dawn of Justice is now playing in theaters.